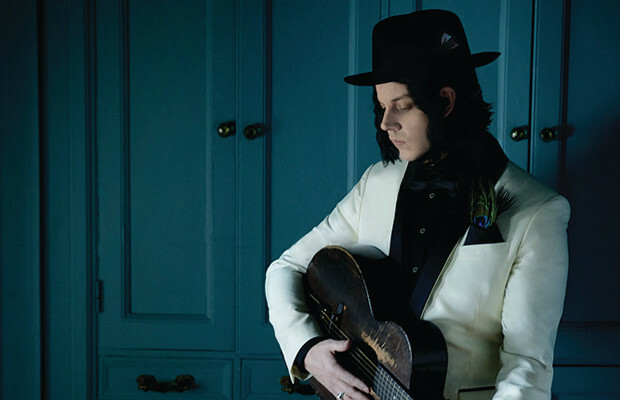 Jack White and members of his live band recently stopped by the historic Saint-Saturnin Chapel at the Château de Fontainebleau outside of Paris to perform acoustic renditions of The White Stripes' “The Same Boy You've Always Known” and “Entitlement,” a track from White's latest, Lazaretto, as part of La Blogotheque' “Take Away Shows” series. Jack's accompanists include Lillie Mae Rische, Dominic Davis, and Fats Kaplin, who regularly perform as part of the rocker's live band. The former White Stripes frontman is currently in the midst of winding down his Lazaretto world tour, which has included a summer full of festival appearances. Check out a remaining list of dates, below.